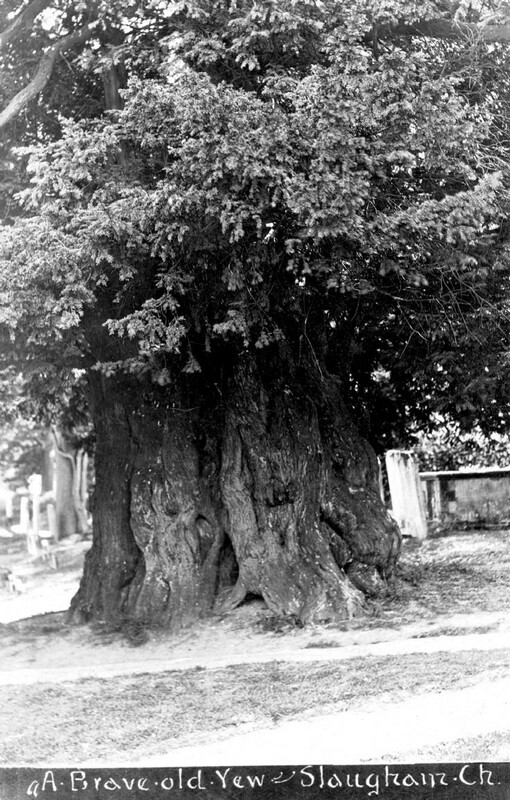 A few yards from the south door of Slaugham church stands this yew tree said to be a thousand years old, broadly the same age as the Norman church. In 1835 the historian, Thomas Horsfield, said that its circumference at a foot from the ground was 24 feet 7 inches. Does anyone know what the circumference is now? It is interesting to reflect that in the 17th century when the Covert family walked to church from Slaugham Place (their mansion, now in ruins) this venerable tree was already 500 years old! We used to play inside that tree. Darren Paul Botting was my brother and I'm sure he loved playing in the old tree. He's buried a few yards away from it.